Kay Nielsen (1886-1957) was a popular Danish Illustrator during the golden age of illustration. The book’s name was his own inspiration, which was then written by Sir Arthur Quiller-Couch. 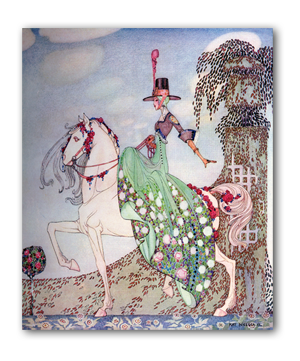 Read more about Kay Nielsen in Wikipedia.